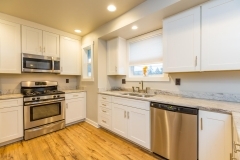 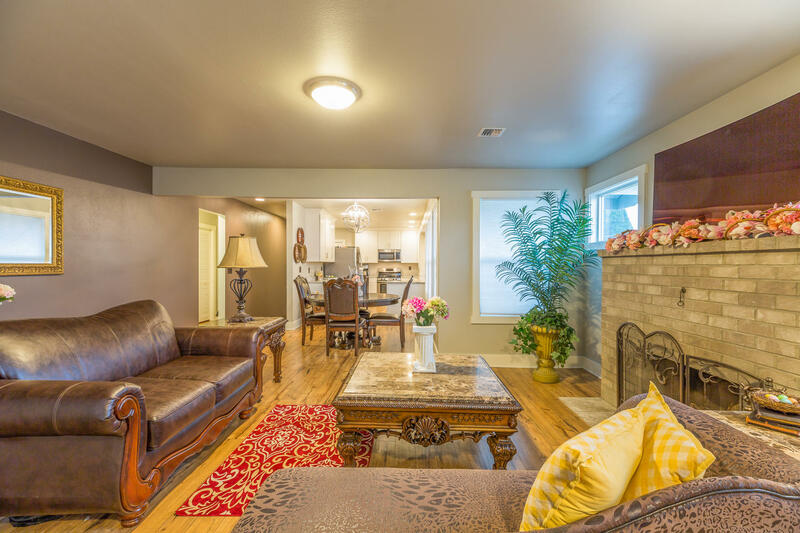 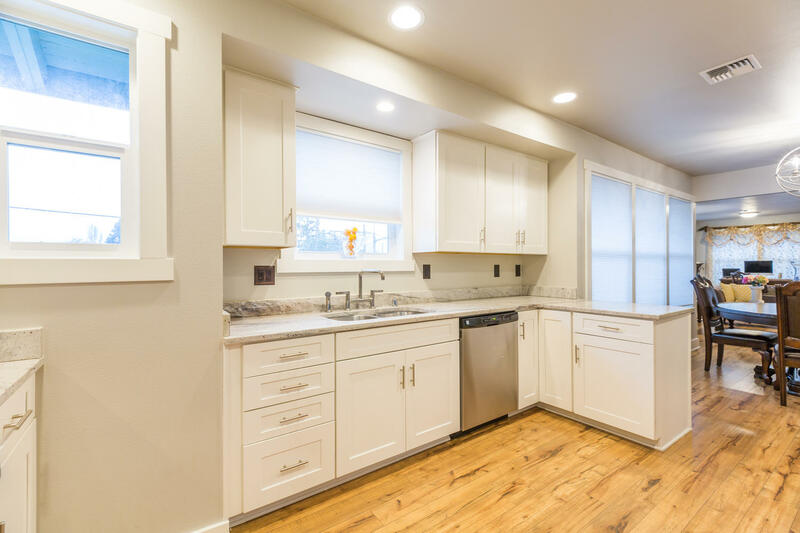 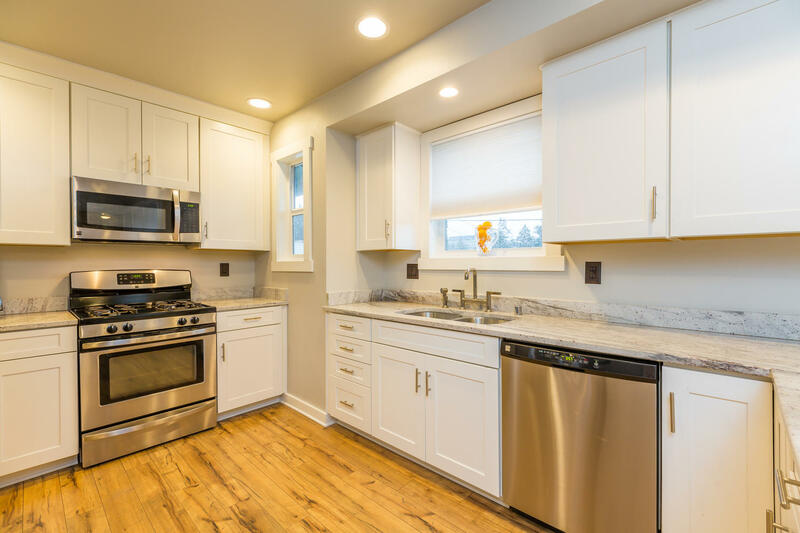 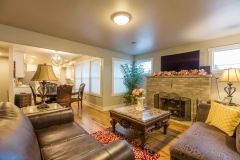 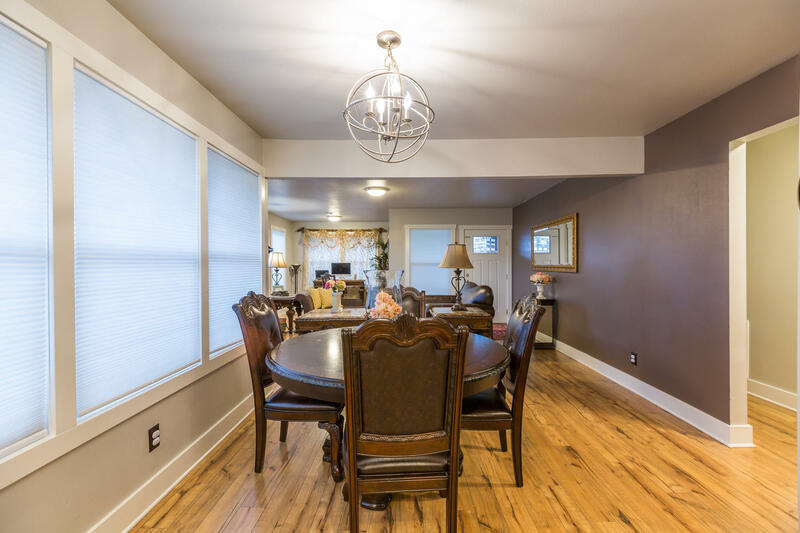 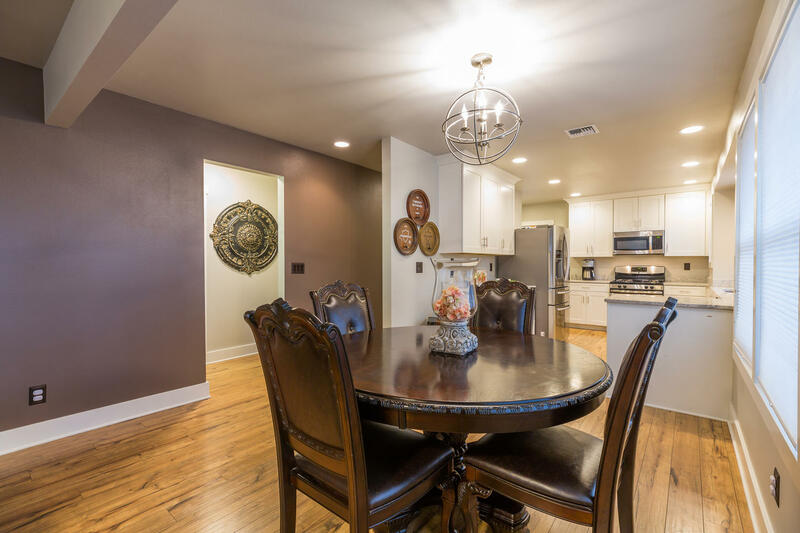 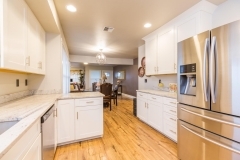 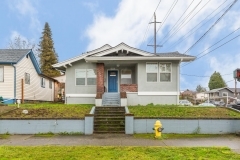 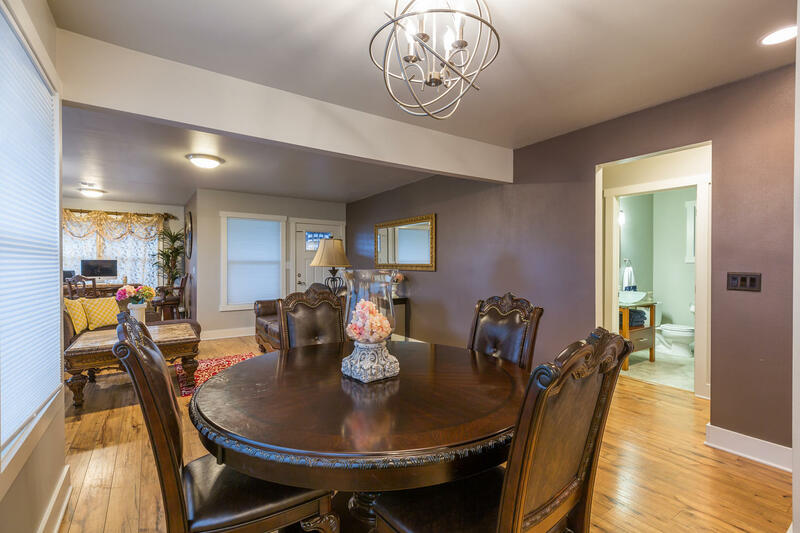 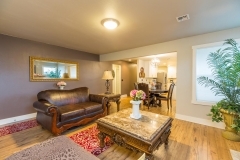 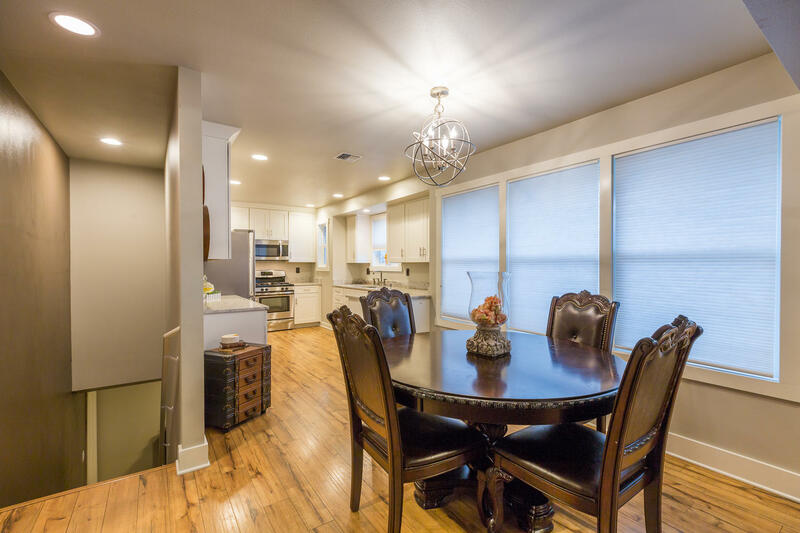 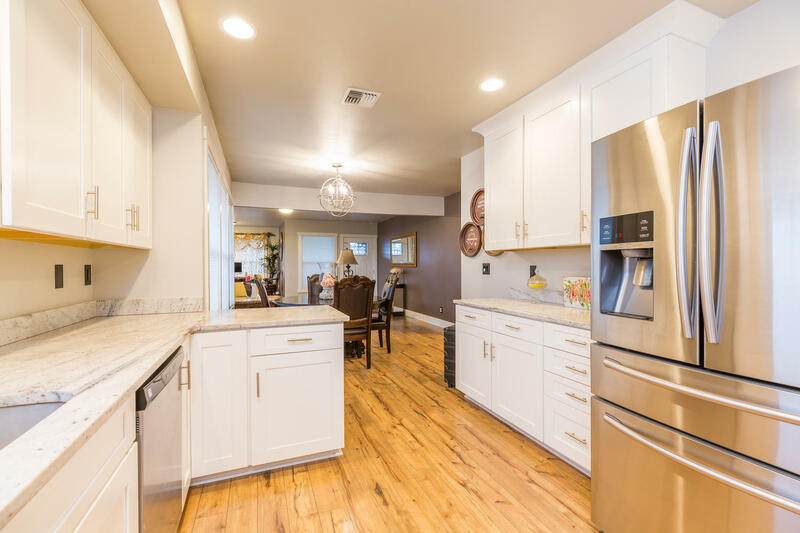 This Vintage craftsman home was professionally remodeled and updated from the studs-in 2015, including new wiring, & plumbing so you get the best of both worlds, vintage craftsman design and quality with an open floor-plan and modern amenities. 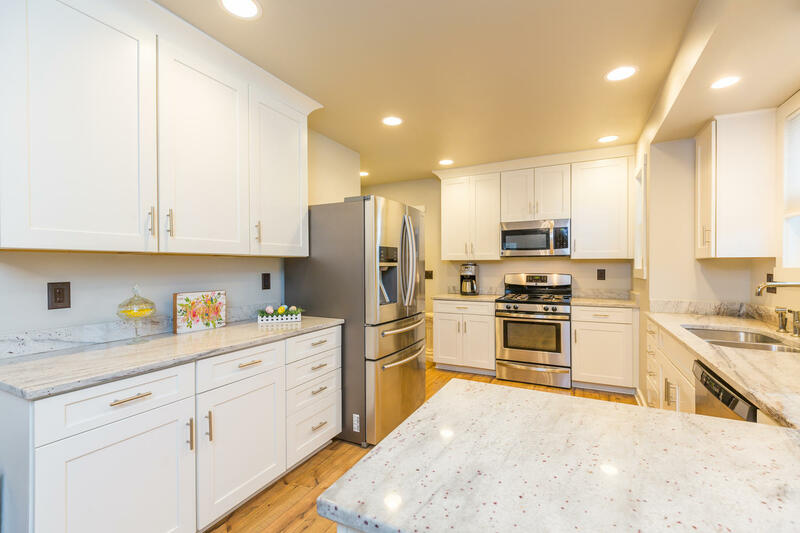 The beautiful stucco exterior adds to lower maintenance and you’ll love the beautiful granite counters, stainless steel appliances, craftsman mill-work/trim, fixtures & designer paint colors. 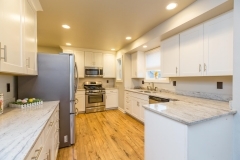 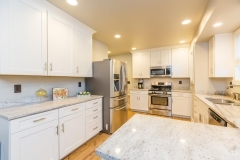 All appliances are included: Stove/Range, microwave, dishwasher, refrigerator/freezer, washer, dryer. 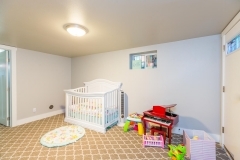 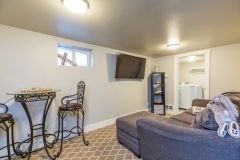 The newer roof (2015) with updated windows and doors make the home quiet and cozy; combined with the on demand tankless water heater and energy efficient heat pump, will lighten your utility costs. 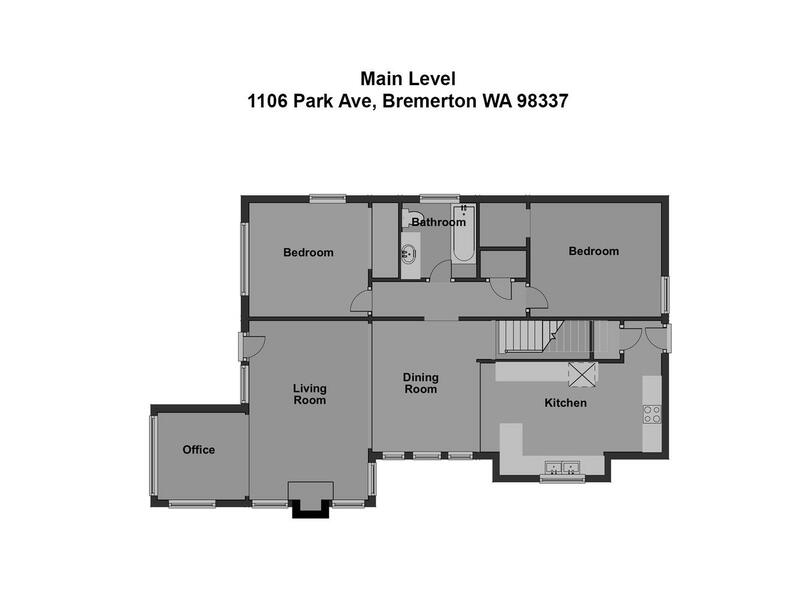 There are two bedrooms and a shared bathroom on the main floor and a large master suite with full bath on the lower level. There’s a detached one car garage and lots of street parking on the extra wide street with an extra parking lane on both sides. 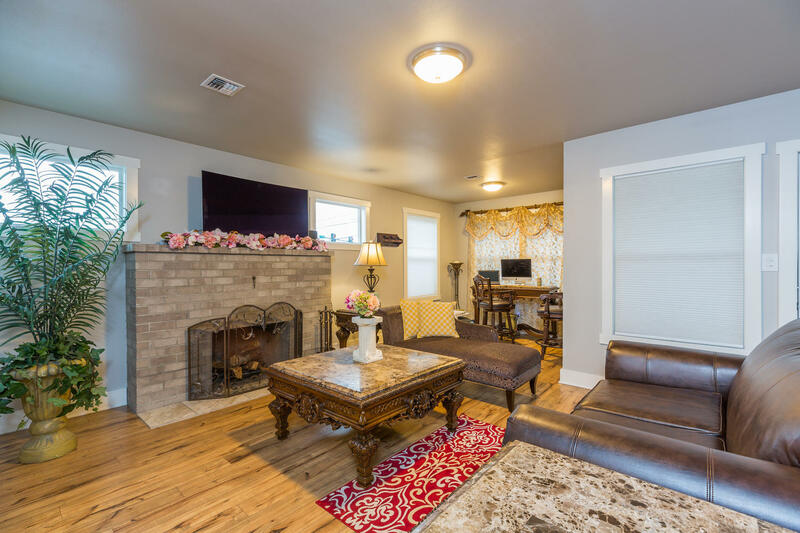 The fireplace on the main floor is wood-burning but has been plumbed for natural gas making it very easy to change if you would prefer this option. This home has 1,692 Finished Sq.Ft. 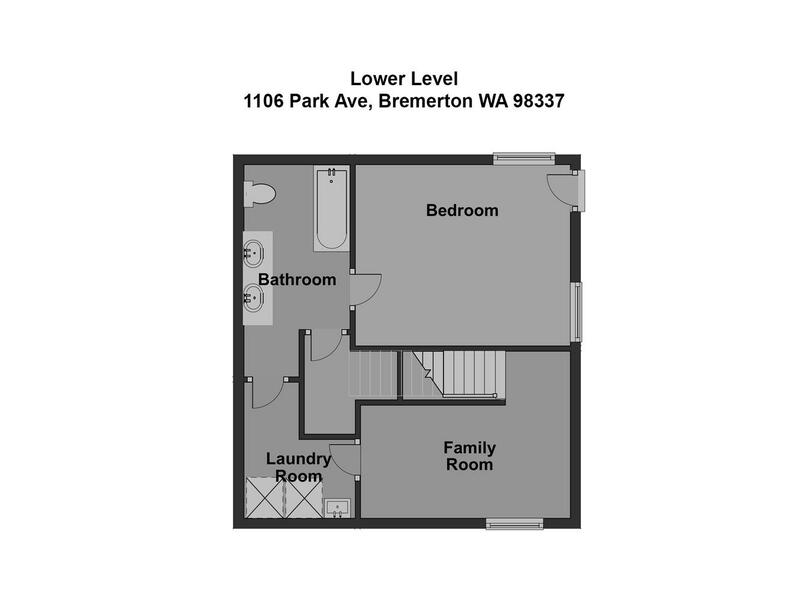 of living space with 3 bedrooms and 2 full bathrooms. 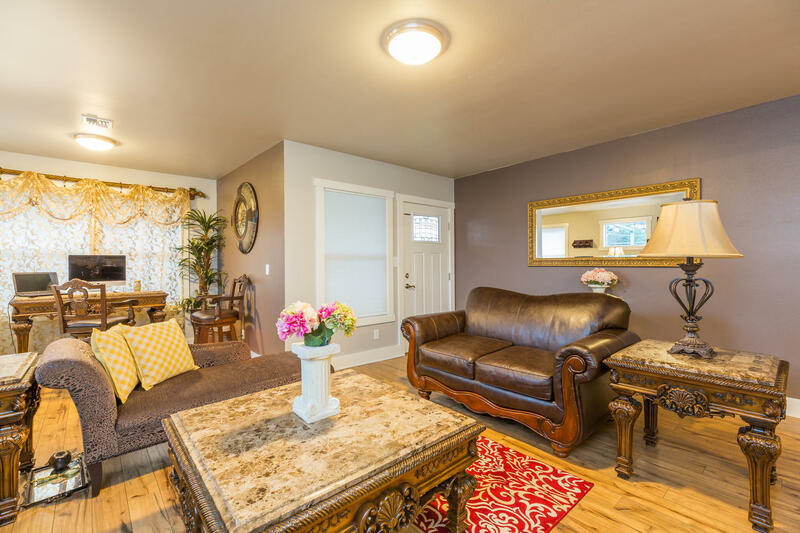 The corner lot gives a wide open feeling while the lot size makes the yard easily manageable for those with a busy life-style. 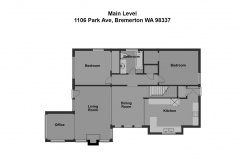 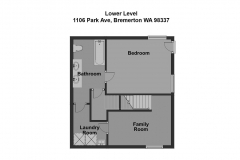 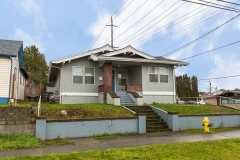 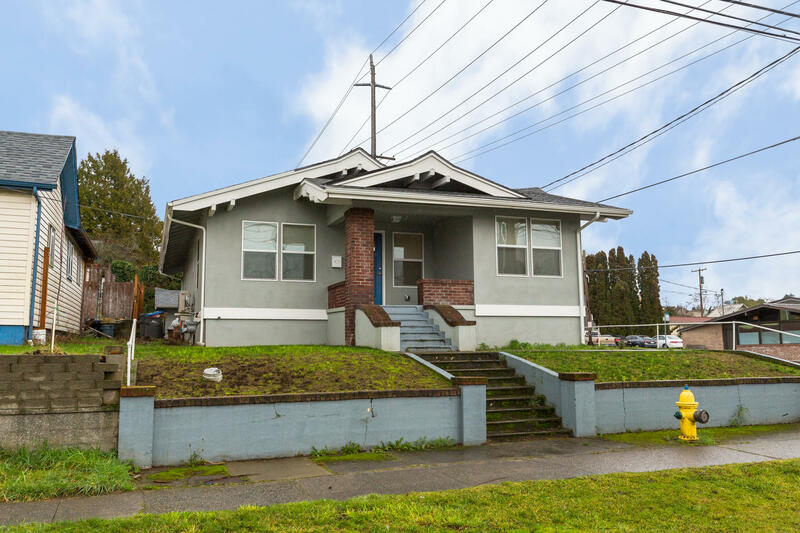 Below is a Google Map showing the location of this property at 1106 Park Ave, Bremerton, WA 98337 located a few blocks from the Puget Sound Naval Shipyard (PSNS) and the Bremerton Ferry Terminal, with car and high speed passenger ferries directly to Downtown Seattle. Thank you for visiting our weblog and checking out this beautiful new listing. 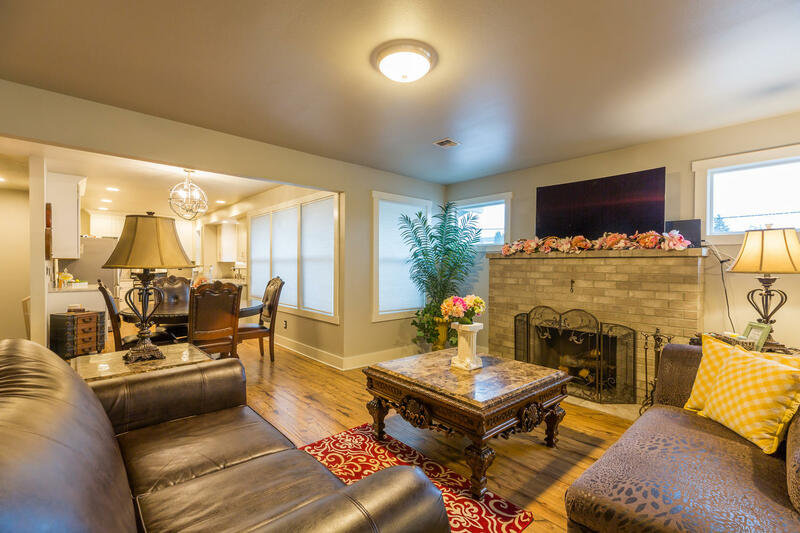 Please contact us if you’d like to schedule a private viewing and we’ll be happy to make all the arrangements around your schedule. If you’d like to see what some of Brian’s clients have to say about him, here’s a link to his reviews on Zillow.com Brian and Jana look forward to hearing from you & providing exceptional service for any of your Real Estate needs.